A brow lift is a surgical procedure that can address age related changes of the forehead and eyebrows by raising the skin and muscles of the forehead. A brow lift also treats the underlying facial muscles of the forehead to provide smoother skin and eliminate frown lines. With a brow lift, Dr. Neil J. Zemmel can rejuvenate the appearance of the forehead and reverse many common signs of facial aging, giving patients a more well-rested, youthful look. Healthy women or men that have sagging of the brow below its once youthful position at or above the bone of the eye socket are candidates for a brow lift. The sagging of the brow may also contribute to wrinkling of the upper eyelids, giving patients an overall tired look. In addition, some patients may have deepening of the horizontal lines of expression across the forehead or more pronounced vertical wrinkles between the eyebrows, giving the appearance of a questioning or frowning appearance. Treating these wrinkles due to facial expression by weakening the corrugator and procerus facial muscles is often part of a brow lift. Also, a brow lift can be performed in combination with a blepharoplasty (eyelid surgery) to improve the appearance of the entire upper third of the face. While many of the incisions are well concealed due to their location in the hairline, a brow lift can still be performed in patients with thinning hairlines or with bald scalps. 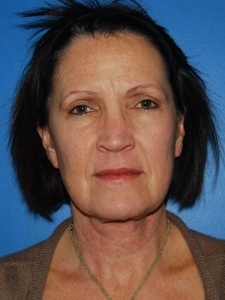 Dr. Zemmel typically performs brow lifts through a minimally invasive, small incision approach. He performs an endoscopic brow lift using a small fiber optic camera through tiny incisions in the skin. This leaves little evidence of the original surgery and allows you a quicker healing time. A brow lift involves raising the skin and muscles of the forehead to their normal anatomic position and smoothing forehead lines and wrinkles to achieve a fresher, youthful look. The procedure involves making a series of incisions within the hairline that allows access to the underlying musculature of the forehead and brow. Dr. Zemmel uses a small fiber optic camera to perform the surgery. The skin of the forehead is released and lifted, the muscles which cause frown lines and forehead creases are disabled, and the skin of the forehead is anchored down at a higher level. Through a variety of anchoring techniques, the muscles and associated soft tissue can be elevated to a more anatomic position. There are three types of brow lifts that are primarily used to address the aging forehead: the conventional (or coronal) brow lift, the lateral brow lift, and the endoscopic brow lift. The conventional brow lift, also known as the coronal brow lift, is a procedure that has stood the test of time and is useful in addressing significant soft tissue laxity of the forehead. It involves an incision which starts in the hair at the level of the ear and extends over the crown of the head to the other ear. Skin and muscle flaps are then elevated and advanced toward the top of the head. The excess skin and soft tissue is removed, resulting in an elevation of the entire forehead and eyebrows. The underlying musculature is also tightened and resuspended to further reduce laxity. In certain cases of a high forehead or receding hairline, the incision is placed along the frontal hairline to avoid extending the height of the forehead. This procedure is best suited for patients with extensive loosening of the brow and forehead, and the results are considered long-lasting. In most cases, the conventional brow lift has been supplanted by less invasive techniques that can achieve natural-appearing brow rejuvenation in the majority of patients. The disadvantages to this procedure are potential changes to the hairline, scalp numbness along the incision, and hair loss adjacent to the incision. The lateral brow lift is a technique that has evolved from the conventional brow lift that involves limited hairline incisions that parallel the outer portions of the eyebrow. One of the hallmark features of the youthful forehead is the natural peak of the tail of the brow. As the forehead ages, the brow sags and the peak shifts more toward the center of the forehead or is lost altogether. The result of these changes can cause a person to look fatigued and older than their actual age. 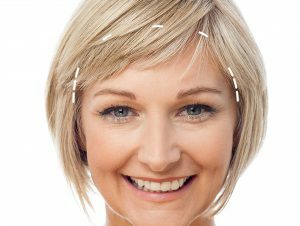 The lateral brow lift addresses one of the most common age-related changes to the forehead with relatively limited incisions, and avoids of some of the disadvantages of the conventional lift, and gives a faster recovery. After this procedure, the peak of the brow can be elevated back to its original position on the forehead for a natural, youthful appearance. This brow lift is frequently combined with blepharoplasty (eyelid surgery) for a more complete rejuvenation. The endoscopic brow lift is the least invasive procedure for forehead rejuvenation. The procedure involves a series of small incisions within the scalp in which specially designed instruments are inserted to free the underlying forehead skin and muscles from their deep bony attachments. This allows Dr. Zemmel to precisely target small areas of muscle and skin laxity that are causing the forehead to have an aged appearance. In order to visualize these tissues clearly, an endoscope (a small fiber optic camera attached to a monitor) is inserted through one of the incisions. This provides our surgens with a clear field of view to not only perform the necessary tissue elevation, but also to identify and remove some of the small muscles between the eyebrows that commonly cause vertical worry lines. The eyebrows are then lifted to a more anatomic position and fastened with a small clip that will dissolve over time. Endoscopic brow lift surgery can be easily combined with an additional facial procedure to enhance the overall impact. Based on this analysis, you will be provided with his recommendations to achieve the improvements you are seeking. How Can I Prepare for my Brow Lift Surgery? In addition to performing a detailed analysis of your specific forehead concerns, your surgeon will perform a thorough evaluation of your overall health status. He will pay particular attention to any underlying medical conditions that may affect your results, such as uncontrolled hypertension or diabetes, smoking, and a history of scarring following previous surgery. Based on your history, you may be asked to see your primary care physician prior for a preoperative assessment. Please inform the Richmond Aesthetic Surgery team of any difficulties you may have had with prior surgeries, of all current medications you may take, including supplements, and whether you are actively smoking. If you are an active smoker, you will be asked to stop smoking for at least 6 weeks prior to surgery and to cease smoking for 6 weeks after surgery. Smoking cessation will minimize your risk of potential complications in wound healing and maximize the likelihood of an excellent result. Within a week or two of surgery, you will meet with your surgeon again to review the operative plan and goals. It is a great time to have any questions you have answered. Feel free to write down any and all questions after your initial visit to ensure they are all answered prior to surgery. Before the day of surgery, the RAS team will provide you with instructions for the day of surgery, postoperative instructions, and any prescriptions you may need following surgery when you get home. What Can I Expect on the Day of My Brow Lift Surgery? On the day of surgery, you will meet your doctor to ask any final questions that you may have. You will meet a Board-Certified Anesthesiologist and Nurse Anesthetist who will provide your anesthesia. A brow lift can be performed under deep sedation or general anesthesia. Please inform the Anesthesia team of any particular difficulties you may have had with prior surgeries, especially anesthesia-related nausea. You will meet our experienced intraoperative nursing staff who will care for you during surgery. A browlift usually takes approximately 1 hour; however, surgical times may be longer if additional procedures are performed. Once asleep in surgery, your hair will be gathered into small “pony tails” adjacent to the planned incisions to keep hair out of the surgical wounds. The incisions will be performed in such a way so that hair will grow through the scar to minimize the risk of hair loss adjacent to the incision. The incisions will be closed with either sutures or staples that will be removed in 10-14 days following surgery. In the case of the conventional brow lift, you may have a soft drain placed under the skin incision, which is usually removed within 24-48 hours following surgery. After surgery, you will be taken to the recovery room for immediate postoperative care. 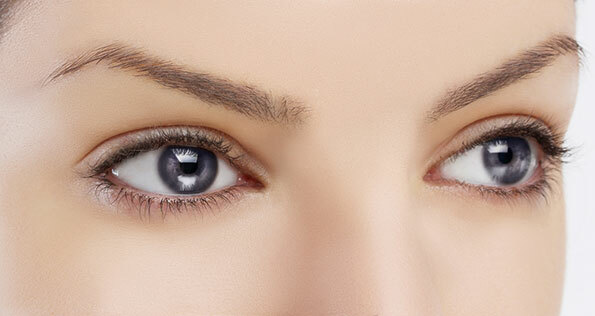 A brow lift can usually be performed as an outpatient procedure. However, if additional procedures are performed in conjunction with a brow lift, your surgeon may admit you to the hospital overnight to provide you with round the clock nursing care that can address any pain or nausea that you may develop. What Does the Brow Lift Recovery Entail? Shortly after surgery, you can expect mild pain that is well controlled with oral pain medicines. You will most likely experience forehead swelling and bruising which usually resolves within 1 to 2 weeks after surgery. It will be very important to keep your head elevated for the first 3 to 5 postoperative days to assist in resolution of initial swelling. At approximately 10-14 days post-op, all staples or sutures will be removed. As the swelling subsides and the incisions heal, you may experience a numb sensation on the crown of your head, especially after a conventional brow lift. This numbness may persist for up to 6 months following surgery. In less invasive brow lifting techniques, the numbness is more limited and should resolve much quicker. Our surgeon may advise patients to allow at least 7 to 10 days free from work and strenuous activity to recover from a brow lift. Prior to surgery, the Richmond Aesthetic Surgery team will provide you with more detailed instructions that outline activity restrictions. Like many of the facial rejuvenation procedures offered by RAS, your results will gradually emerge as swelling subsides. You will notice a “fresher” and “rested” appearance to your forehead with less drooping of your eyebrows and your upper eyelids. Are There Any Risks Associated with Brow Lift Surgery? Complications from brow lift surgery can occur but are rare and usually occur less than 3% of the time. Delayed postoperative bleeding may result in the collection of a small blood clot deep to the surgical incisions (a hematoma). Depending on its size, a hematoma may require a return to surgery for removal. As described above, some patients may experience some hair loss at the site of the incisions. Some patients may develop thickening of the scar, especially in a conventional brow lift. Rarely, patients may notice some asymmetry with respect to brow position that may require additional revision surgery. There may be some degree of scalp numbness, which will vary with the type of brow lift procedure performed. In the majority of patients, this numbness is temporary and will resolve within a few months. In rare instances, the numbness may be permanent. Temporary or permanent injury to the nerves that control movement of the forehead is the most significant complication of brow lifts. Correction of this rare complication frequently requires additional surgical procedures. The average cost of brow lift surgery in the U.S. is $3,374, as noted in the American Society of Plastic Surgeon’s 2017 statistics—this price does not account for anesthesia or operating room fees. This total cost of your procedure will depend upon the customized surgical plan that your surgeon creates based on your individual needs and cosmetic goals. This includes which brow lift technique is used during surgery as well as the overall complexity of the procedure. Additional factors that can impact the price of brow lift surgery include operating facility fees, anesthesiologist fees, the experience of the plastic surgeon, and the geographic location of the practice. When a brow lift is combined with an additional facial procedure, such as blepharoplasty, the total cost will be adjusted accordingly. At Richmond Aesthetic Surgery, we offer a number of plastic surgery financing options for patients who could benefit from a flexible payment plan with low interest rates. To learn more about our plastic surgery financing options, please contact a member of our staff today. 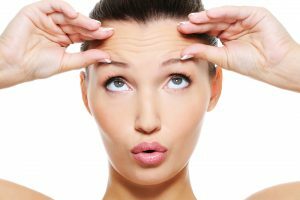 Is a Non-Surgical Brow Lift with BOTOX® Cosmetic Possible? A surgical brow lift is one of the most effective methods of addressing common signs of aging in the upper face. Particularly for patients with lines and creases formed due to skin laxity, brow lift surgery remains the best option. However, depending upon the cause of facial aging, a non-surgical brow lift with BOTOX® Cosmetic may be able to achieve your goals without the need for surgery. A brow lift without surgery is designed to target overactive muscles of the forehead that lead to horizontal wrinkles and vertical lines between the eyebrows. This injectable technique can smooth the skin of the forehead without invasive surgery, ultimately creating a more youthful appearance. Some patients choose to combine traditional brow lift surgery and a non-surgical forehead lift with injectables to enhance their final results. 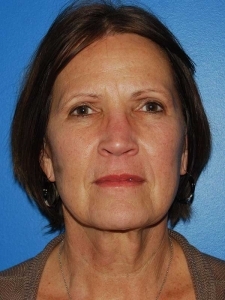 Dr Zemmel and staff were extremely helpful and attentive throughout the entire process! The appointment request was quick and responsive! The front desk staff is always smiling and assists quickly! Dr Zemmel explained the procedure and all options and answered all my questions and put me a complete ease before surgery. Post op went very well and healing was right on pace with explanations. I could not be more pleased with my results. To learn more about brow lift surgery please schedule an appointment with our plastic surgeon, please contact Richmond Aesthetic Surgery today for your consultation.